There's something about Septemberhouse's patterns that always make me go "squee" when I see them and boy did I squee loudly when I saw these! 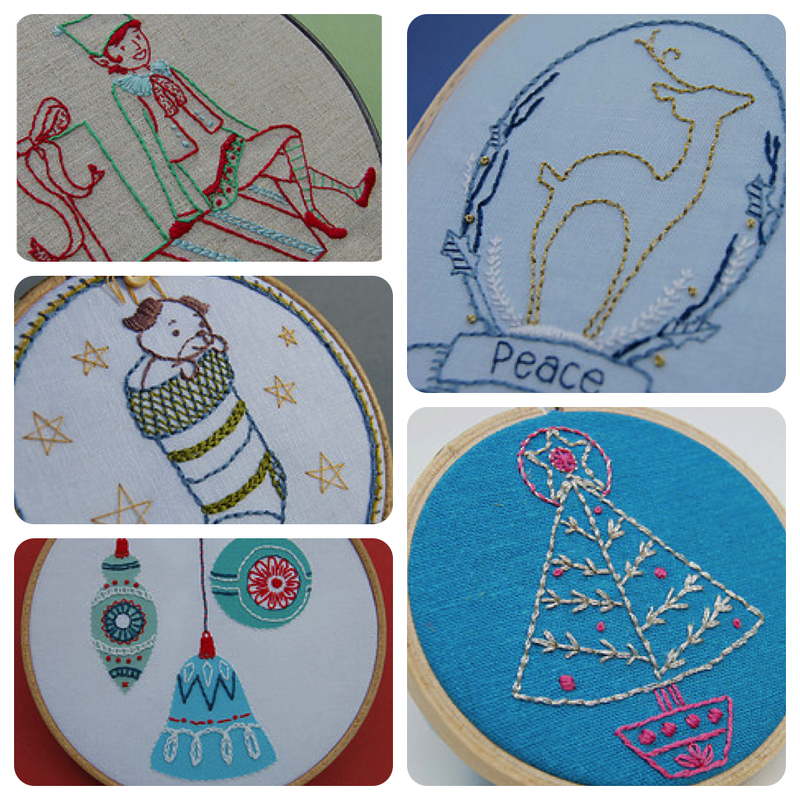 I love how they fit a range of different hoop sizes, how one of the patterns include applique and the colour scheme for the elf in particular works so well. 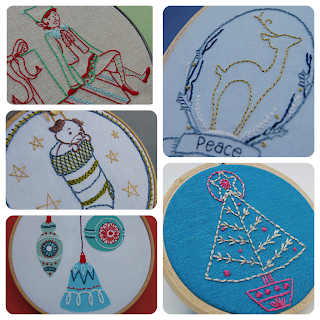 I can see these patterns working particularly well in making small gifts this holiday season. You can find the pattern set here.